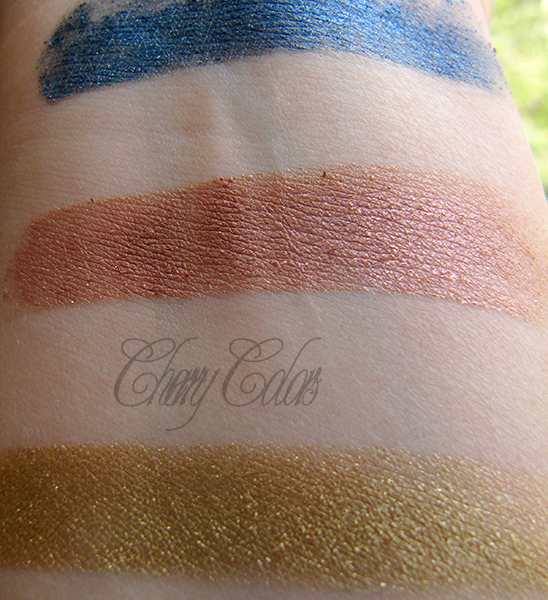 Review: Little Sparrow eyeshadows - Cherry Colors - Cosmetics Heaven! Today I have a review for you, it is a sparkly one! I was really lucky to be sent a couple of items from Little Sparrow cosmetics. The specialize in lip jellies and some inspirational blushes (blue). I will talk about the lipsticks next time, but today let's talk about the sparkly eyeshadows. The eyeshadows come with a shifter which helps a lot with spilling (I saw that you can get them without it if you ask nicely). 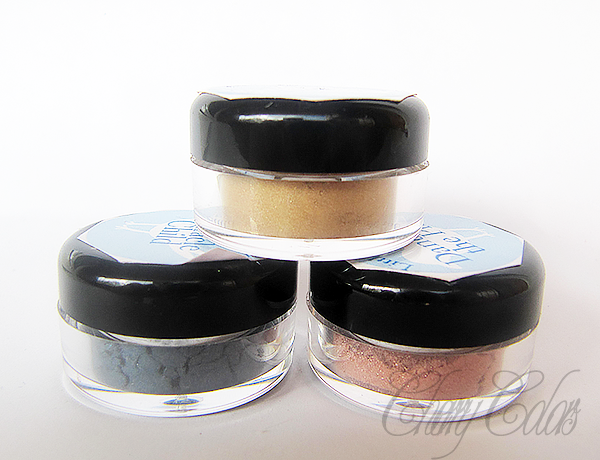 The little jars are sturdy and are packed full with eyeshadow. The jars are 5g ones and contain 1-2g of product (depends on the size your order). 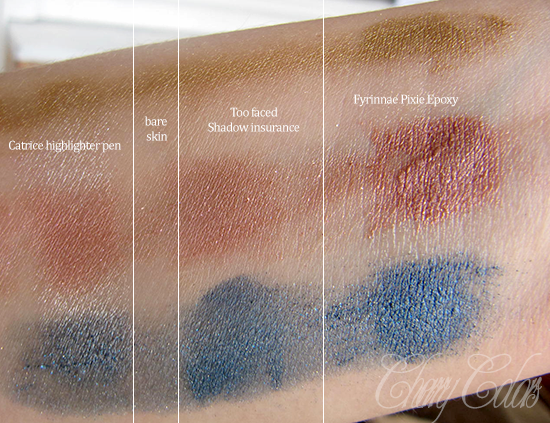 Let's move to the swatches. Excuse the messy ones - I did them on a whim and liked them quite a lot, that's why I included them. Fyrianne's Pixie epoxy isn't a fan of these shadows - or maybe it was just my old tester? I don't know, but it was quite a task tapping the eyeshadows on (especially the miracle child). I had no such problem with other primers tho. On my picture, it is more of a warm rose-pink, but it's not as warm in real life. 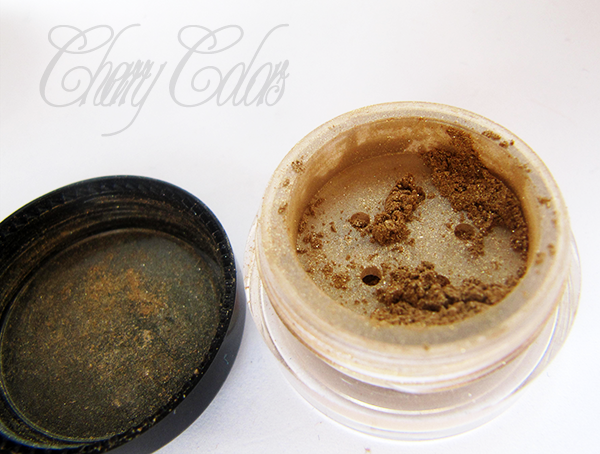 It is a sheer eyeshadow that can be intensified with a proper primer. It didn't crease on me (I have oily lids) after I wore it for a full day with a primer. Dance on the Pier is a pale pink shade, with gold and violet sparks. As you can see in the swatch photos, this color is VERY sheer on its own and requires an eyeshadow primer or glitter glue to become opaque. It is NOT lip safe. I was the most excited to get this color, a golden eyeshadow. I don't have many (if any?) gold eyeshadows in my collection, so it was extra special receiving it. It is a bit too warm for my skin, so it doesn't pop out as much as I hoped to, but it does look nice with other colors. 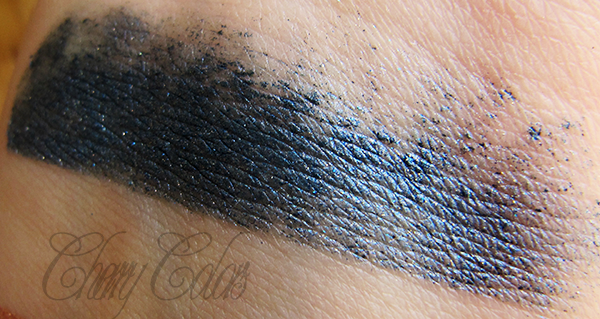 Again, this is a sheer eyeshadow that needs a base to show its true color. This shadow also didn't crease on me. 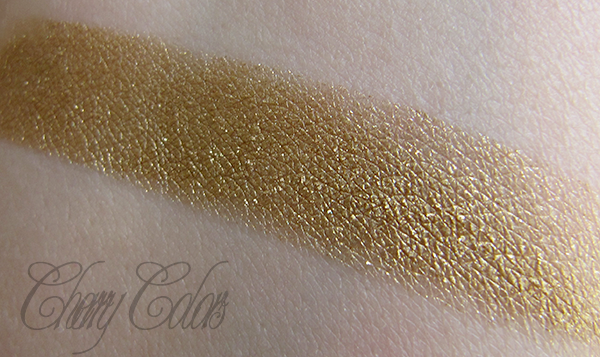 Chapel of the Prophet is a metallic gold color with golden sparks. As you can see in the swatch photos, this color is very sheer on its own and requires an eyeshadow primer or glitter glue to become opaque. It is lip safe! Oh boy! Did it cause me problems in combination with pixie epoxy? I tried to apply it nicely, but it just didn't want to stick (and when it did it took half the color with it). 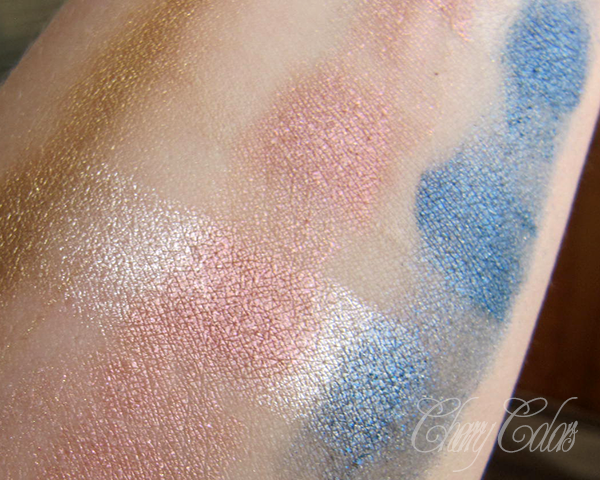 It is a blue eyeshadow with tiny gold and blue sparks. Wonderful on its own - but harder to blend over the base. Miracle Child is a midnight blue color with gold and blue sparks. As you can see in the swatch photos, this color is sheer on its own and requires an eyeshadow primer or glitter glue to become opaque. It is NOT lip safe. I see myself using more of the Dance on the pier than the others. 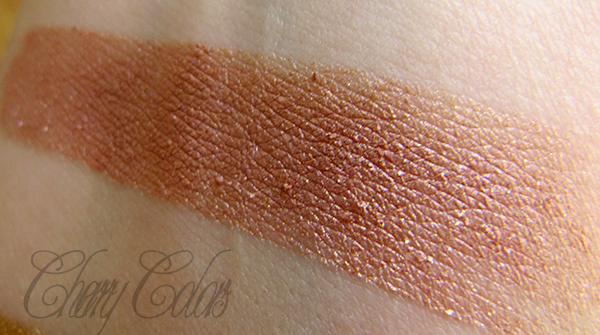 It goes well with practically anything and it is sheer enough to be used as a highlighter. In the indie world, there aren't many sheer eyeshadows so this is quite some fresh air regarding that. 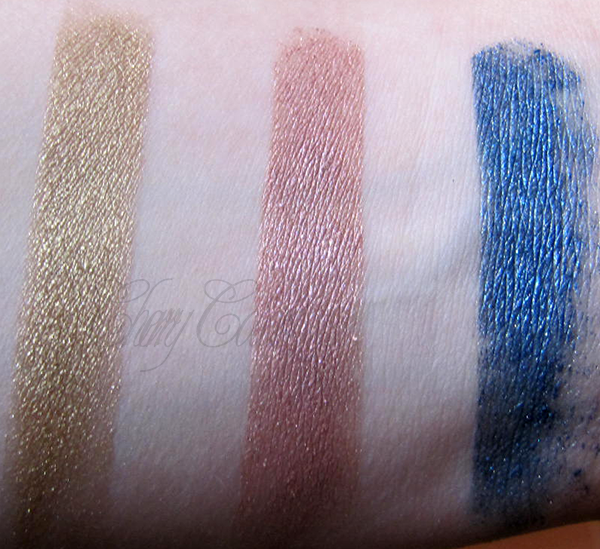 I am sure there are many people who prefer sheer eyeshadows to super pigmented ones. I could think that this is way better in a work environment. 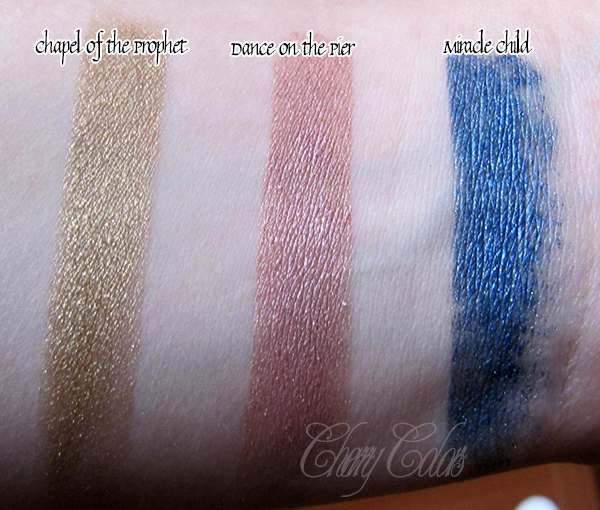 The eyeshadows are nice, the staying power is good and there are many colors to choose from. Definitely a good product for work appropriate makeup looks.